A new range of pencils from Derwent. 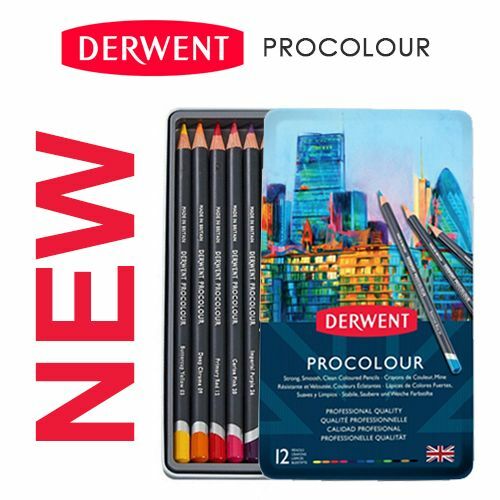 Procolour provides a professional quality colouring pencil with the perfect combination of a strong, sharp point and smooth lay down. The texture of the pencil has the covering power of wax but glides like oil. 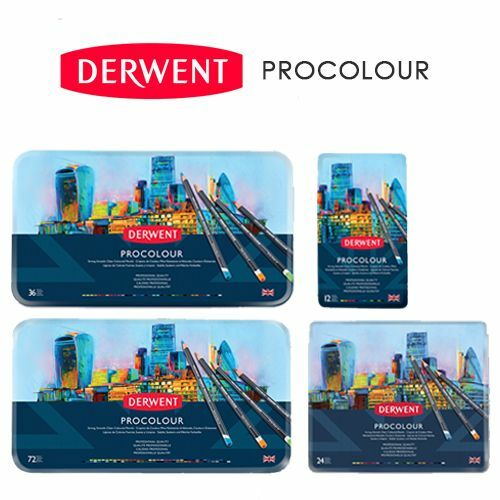 Richly pigmented, vibrant colour cores with points that maintain their sharpness for detailed drawing, with minimum chipping and dusting to keep work smudge free. Procolour pencils also blend beautifully with a range of mediums and artists accessories, including blending pens and paper stumps. Available in tin sets of 12, 24, 36 and 72 colours.